A stunning new showhome has been unveiled at Stephen’s brand new development in Guildtown, six miles north of Perth. 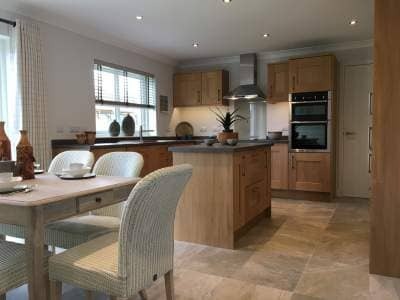 The beautifully styled three bedroom detached bungalow, a ‘Glen Arklet’, is a prime example of the 24 homes being created by the Perth builders at ‘Oakbank’. With prices starting at £149,500, the development within this rural idyll will see a selection of two bedroom semi-detached bungalows, three and four bedroom detached bungalows and four bedroom detached homes.